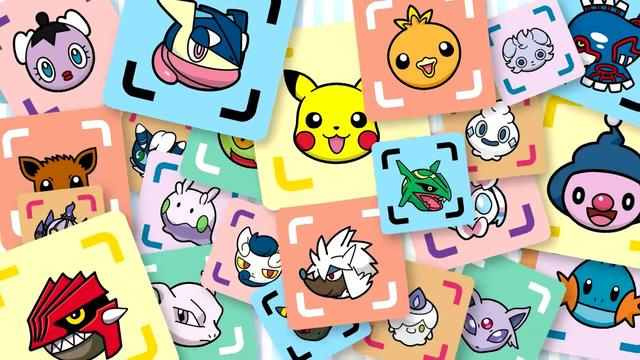 Nintendo has released the third code for its free-to-play puzzler Pokémon Shuffle, via its Pokémon Daisuki Club in Japan. This latest code entitles you - regardless of where you are in the game - to three items that give you an additional five moves. This can seriously help you catch any particularly tricky monster or help you improve your rank with ease. Will you be taking advantage of this cheeky little bonus? Let us know with a comment down below. MY INTERNET ON MY OLD 3DS XL DOSENT WORK!!! HELP? That's nice of them but I deleted this game after trying it. I like to fully own stuff. I'm having a lot more fun with Dr.Mario that was just released. Puzzle and dragons Mario edition was way too hard for me from world 3 onwards. I'll grab the goodies! I finally beat Mewtwo the other day so I may end up saving the stuff for the next time I'm stuck. This game is a blast. I thought I was going to hate it, but I've managed to get up to stage 105 so far with all Pokemon caught (asides from the EX stage ones) and not spending any cash at all on microtransactions. The 500 free coins you get every day really help. I've only played about 140 hours so far...........yeah, I said it! Trouble with this game is I can't get through all the stages, esp. the competition stages without buying bonus jewels with real money. It's just not fun enough to do that. I resent not being able to beat a game that is built upon a toddler's challenge level of matching 3 pictures the same! In theory, it should be easily doable. In practice, microtransactions are required to fully beat the thing and I'm just not in for that. Too frustrating to farm coins too - not fun enough to make that worth it. I guess I just find it boring. Learning how to grind coins on Meowth's stage 37 helps even more. I've routinely hit 99,999 coins by grinding that stage in preparation for any future updates. What is the maximum amount of coins per play? 530? How in hell can you managed to amass 99,999 coins? It will take you literally days. (530*2*24+500 = 25,940 coins per day, playing every 2.5 hours, nonstop). I haven't spent a single cent with any of my last 3ds systems. I'm up to level 165 in 2 of them. Beat all the expert levels, except the new ones. @maceng Yes, it's 530 coins per play. Most plays you can expect to get 330 coins, you can sometimes manage 530 coins, or you might get unlucky and only get 30 or even 0 coins. It does take days, in my waking hours I might amass roughly 10,000 coins a day. Baring in mind you only need to play it for about 5-10 minutes every two and a half hours. Also, is "bearing in mind", isn't it?